Who goes to the movies anymore? In this, the era of Netflix, Amazon Prime, Roku, Hulu, Xbox Marketplace, or just plain strug cable box on-demand, there's next to no incentive to actually leave the crib and go sit in a theater full of strangers. With box office prices at a disgusting all-time high, the only people still filling movie theater seats are romantics who value "the experience," struggle romantics on a basic dinner-and-a-movie wave, and uh, families? Who can blame those who stay home, when venturing out to the theater is an open invitation to endure so much fuckshit? Opting for VIP in the home den doesn't sound so bad when the alternative involves screaming kids, dirty seats, and assholes who paid to sit in a dark, silent theater just to whisper at the highest octave imaginable. But wait, there's more! 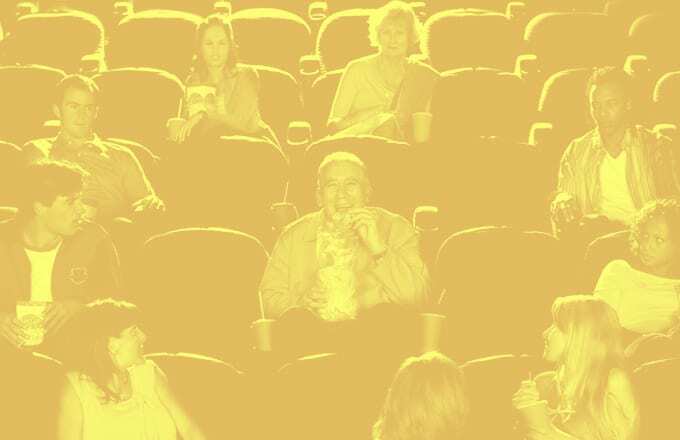 Here's every reason why going to the movies is a thankless experience.